Being a top bar manager responsible for developing a global bar brand is all-consuming and no walk in the park. 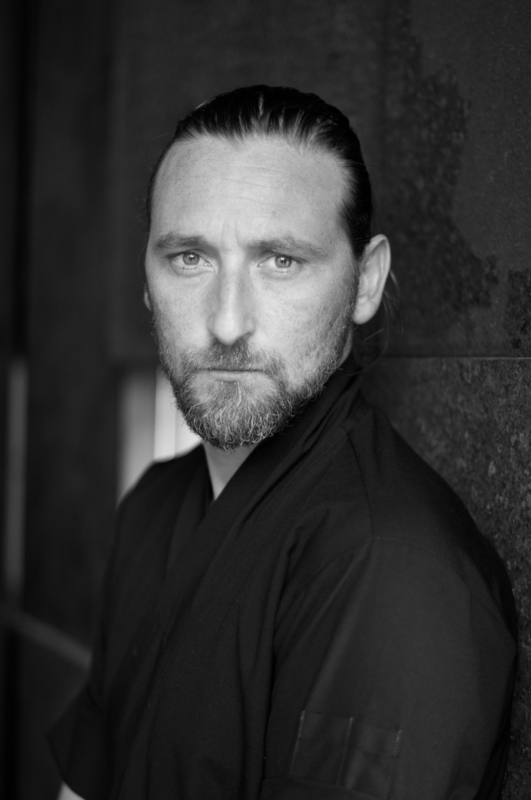 Jimmy Barrat lives in Dubai and is the global bar development director of the Zuma group where he has worked for a number of years. His version of the Penicillin cocktail with Japanese influences is probably the best twist on this famous New York drink. When creating drinks, Jimmy draws inspiration from history to poetry, a great passion of his, with a mystical touch. When he decided to use the wood taken from a barrel of Macallan to smoke his Japanese Penicillin, he sighed thinking, "We are burning a piece of history!". I chatted to Jimmy from his office in Dubai. His voice is steady and he's confident in his words, like someone called to make important decisions at the right time; he has clear ideas that turn into strategies, objectives and results on which important investments hinge. The importance of an encounter. "To tell the truth, I was introduced to Cherry Heering when I met Adele Robberstad at Zuma in Dubai," Jimmy explains. "She told me about her cherry liqueur, its story and how versatile it was in cocktails. We then started working together. 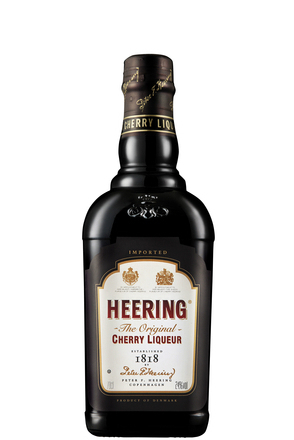 Cherry Heering features in the major cocktail recipes. It was easy to be won over by it and today we are proudly celebrating its 200th anniversary. Relationships are very important in our industry. Friendships that come about casually are built around brands, and then they can also turn into great business relationships." 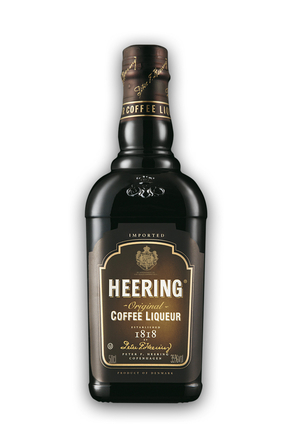 What inspired the cocktail you created to celebrate Heering's 200th birthday? "To celebrate Cherry Heering I was inspired by the year 1857, the year Brandy Crusta was created by Italian Joseph Santini. This drink was where lemon juice was probably used for the first time and for me it is a milestone for cocktails. Its versatility paved the way for so many other classics that are still popular today. Charles Baudelaire also wrote my favourite book of poetry in 1857, Le Fleur du Mal. It was important for the modernist and symbolist movements and dealt with current themes such as decadence and eroticism. The cocktail's ingredients include truffle honey, Cognac and Cherry Heering. It perfectly represents those lavish banquets during the Second French Empire of Napoleon III. This was also a time where literary and artistic movements boomed - Impressionism, Realism, Parnasse. 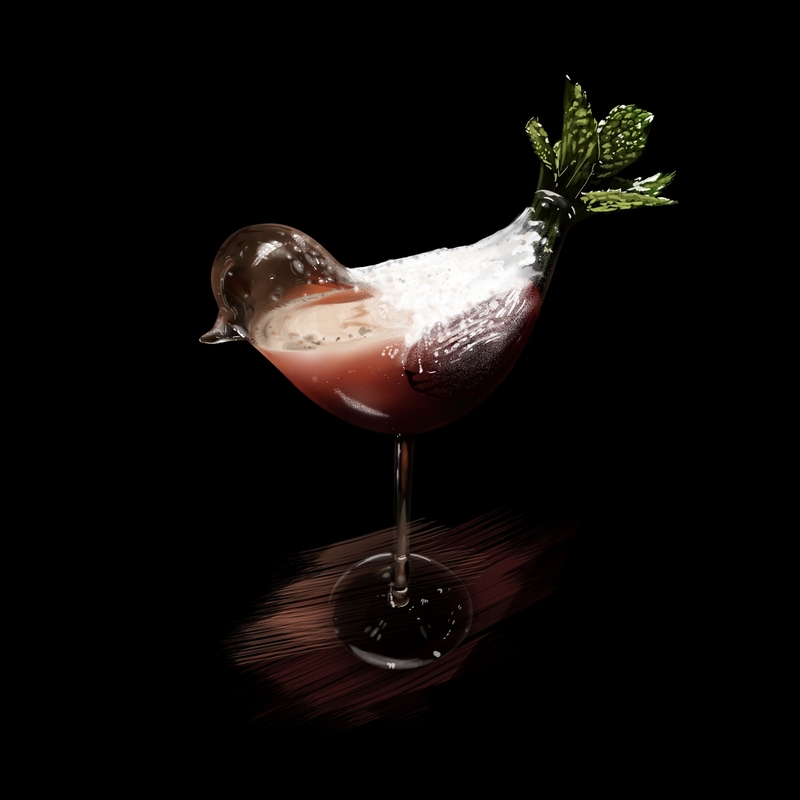 I named the drink Albatros and, it is of course served in a glass that reminds us of the bird mentioned in Charles Baudelaire's literary masterpiece." Ses ailes de géant l'empîchent de marcher. Method: SHAKE all ingredients with ice and strain into glass bird. "I'm really pleased that bartending worldwide is starting to become more aware of environmental sustainability. It's a great way to show how the bar industry cares about looking after our planet. We mustn't forget that our industry is made up of products and ideas, but most of all, people who enjoy it and are central to it." "At the moment, bartending has managed to capitalise on the history of drinks. It has brought back old recipes and their techniques and has improved how we drink. Perhaps we are getting too technical now though, and this has distanced bartenders from their customers. People don't go to bars for a lesson on spirits by an expert. They want to go somewhere fun, where they feel at home and where they can get to know other people. Bartenders should bear this in mind, turn less to social media and get closer to the real needs of their clientele."